Our National Parks Turn 100! Happy birthday to our National Parks! This year marks the 100-year anniversary for our National Parks. The celebrations have already begun. The Centennial year isn’t just a celebration of the past 100 years, but is a celebration of what is to come in the next 100 years. The National Park Service has set out to educate and inspire people of all generations so that future generations can enjoy all that the beautiful parks have to offer for many more years to come. The second century officially kicks off on August 25, 2016 and features the Find Your Park movement. All National Park’s will be free between August 25-28th Find Your Park is intended to inspire all people to enjoy and support America’s 407 national parks. Join the movement by finding and visiting your park this year. With so many great places to choose from, it’s tough to pick just one. Colorado is lucky enough to boast 11 amazing National Parks. Three of our favorites are Mesa Verde National Park, Hovenweep National Monument and Yucca House National Monument. These are must see destinations, and are perfect stops to make on a summer road trip. Located less than one hour away from Durango, they are easy to get to and well worth any drive, making the Centennial celebration a piece of cake for you and your family. 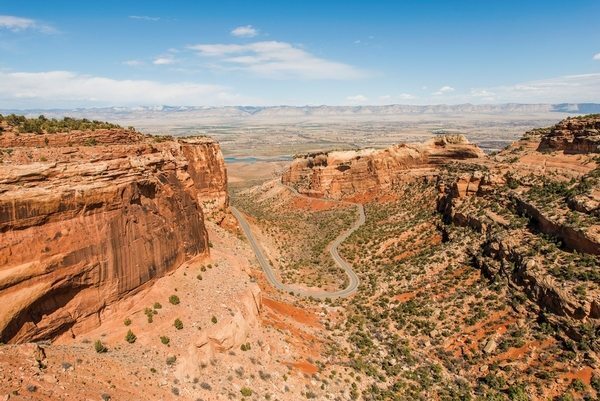 We also highly recommend Chaco Canyon and Canyon de Chelly. For 5 thousand years people have lived in these areas. Enjoy a hike with a ranger, or take in the great views from the many stunning overlook areas. Once you’ve enjoyed these gems, visit us at Blue Lake Ranch for some R&R. Our top rated inn in Durango, Colorado sits on 200 acres of secluded Colorado beauty with views of the La Plata Mountains, meandering meadows, lush gardens, and a private spring-fed lake with plenty of trout for the fishermen out there. We are famous for our hospitality, luxurious accommodations and even our complimentary southwestern style breakfast buffet. Your visit to Blue Lake Ranch will be the perfect ending to your National Park experience. Blue Lake Ranch is also affiliated with the sublime Casa Blanca Inn located in Farmington, New Mexico. Stay a couple of days at Blue Lake Ranch. Then make your way an hour South to enjoy our luxurious lodging at Casa Blanca. The Southwest is rich in history and beauty. Aztec Ruins National Monument is a great place to visit near Farmington. It has never been a better time to celebrate these amazing National Parks. Plan your vacation today! Cheers to another 100 years of National Parks!